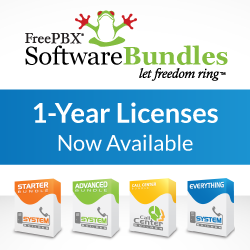 WebRTC Softphone module now available for FreePBX! Schmooze Com, Inc. announces first public release of WebRTC Softphone module for FreePBX. Neenah WI, – January 27, 2014 – Today, Schmooze announces the availability of the BETA release of The FreePBX WebRTC Softphone. This is the first public release of an officially supported WebRTC module for the world’s most popular Open Source PBX platform, FreePBX. WebRTC stands for “Web Real-Time Communications,” a technology focused on embedding real-time communications, such as voice, directly within web browsers. The new WebRTC add-on module allows FreePBX users to enable real-time communications from a web browser directly with their FreePBX system. System administrators will enable an additional WebRTC device in their end users User Control Panel, thereby allowing end users to make and take calls directly from a supported web browser. Anytime a user’s regular extension rings, the WebRTC Softphone will also ring if they are logged into the phone, allowing them to take calls directly from a browser. FreePBX system administrators can download the WebRTC module from within the FreePBX Module Admin, or check out this video that shows off some of the new features enabled by the WebRTC module. Copyright © 2013, Schmooze Com Inc FreePBX is a Registered Trademark of Schmooze Com Inc All Rights Reserved. Previous PostFreePBX Certification Training, in Florida, in January, On Sale until Dec 16th!